For the third consecutive year, Singapore has retained the top spot in Asia-Pacific in the Global Talent Competitiveness Index. Efforts to both nurture a wide pool of skilled knowledge workers and attract international human capital have drawn investors and businesses to the Asian financial hub, and contributed to Singapore’s long-term economic competitiveness. As a small country without natural resources, Singapore relies on its human ingenuity to develop its economy and has a clear focus on becoming a talent hub. 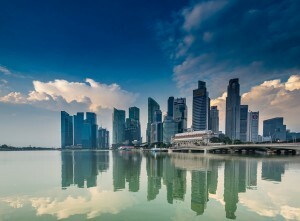 Substantial investments have been put into education, life-long learning and talent development, and efforts to attract top global talents have been stepped up.As a result of these efforts , Singapore has once again topped the annual Global Talent Competitiveness Index (GTCI) for Asia-Pacific for the third year running, and is placed second in the World behind Switzerland. Besides Singapore and Switzerland, other countries ranked in the top 10 comprise high-income cosmopolitan hubs such as Luxembourg, United States, Denmark, Sweden, United Kingdom, Norway, Canada and Finland. Published by the business school INSEAD, in partnership with human resources firm Adecco and the Human Capital Leadership Institute (HCLI), the Index ranks more than 100 countries according to their ability to compete for talent. In a separate World Talent Report by global business school IMD, Singapore was placed 10th in a ranking of countries’ ability to nurture and sustain talent for businesses operating within their economies. 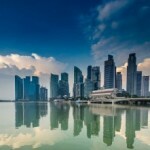 Other countries in the top 10 included Canada and a string of competitive European countries, making Singapore the only Asian country to be listed. Singapore is described in INSEAD’s report as the “flag bearer of performance” in East and Southeast Asia. Its emphasis on ICT infrastructure continues to attract PMEs from high value-added service industries such as software engineering, precision manufacturing, banking and finance. To continue to attract the best and brightest in the region, approximately US$7.6 billion was put into developing R&D capabilities in 2013 to propel Singapore into an innovation-driven economy. Clusters that are constantly being developed in new industrial frontiers such as biochemical and life sciences, pharmaceutical, digital media and space technologies, have created new jobs and positioned Singapore well as a regional talent hub. Underscoring Singapore’s status as a dynamic financial and business centre in Asia are pro-business initiatives such as its openness to business and high quality of life. 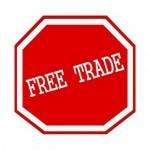 In the latest Ease of Doing Business index published by the World Bank Group, for instance, Singapore is ranked first. 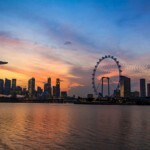 The generally positive relationship between the Government and businesses was also cited as a strong draw for Singapore’s attractiveness as a talent magnet, despite strong competition from neighbouring countries in recent years. An essential ingredient of being an attractive destination for businesses is a vibrant talent ecosystem, where companies can find the requisite talent to helm and run their operations. Recognising Singapore’s value proposition, many global companies such as Proctor and Gamble, Mitsui Chemicals and Unilever have chosen to establish their Asia-Pacific headquarters here to ride on Asia’s growth.